Clinical social work is an advanced practice specialty that’s focused on diagnosing and treating mental, behavioral, or emotional disorders. All 50 states require professionals in clinical social work to be licensed. Becoming a Licensed Clinical Social Worker (LCSW) gives individuals the field’s highest credential for designing therapeutic interventions that improve clients’ well-being. State social work boards mandate that LCSW candidates hold an accredited master’s degree and two years of clinical experience. Investing in graduate school can pay off because LCSW is America’s #5 best social service job. Employment statistics show that demand in clinical social work will skyrocket by 19 percent through 2024 and offer some of the highest salaries in the field of social work. Online education is perhaps the most convenient method for finishing your master’s degree and entering this in-demand field. Therefore, this article is devoted to outlining the 15 Best Online LCSW Degree Programs nationwide. We began by searching for online graduate degrees accredited by the Council on Social Work Education (CSWE). Programs had to be primarily online with minimal campus trips, excluding field practicum. Next, we looked for clinical social work concentrations that satisfied at least in-state LCSW requirements. We consulted with the U.S. News and World Report’s rankings for narrowing down to top-tier universities. Other factors we considered were tuition, curriculum flexibility, fieldwork, class size, LCSW exam pass rate, Advanced Standing options, and student support. Affiliated with 104 Nobel laureates, Columbia University is a premier private, nonprofit research institution delivering Ivy League education to approximately 19,500 post-graduates. The founding Association of American Universities (AAU) member occupies 32 acres in the Morningside Heights neighborhood of New York City’s Manhattan borough. Columbia also has an Online Campus with an impressive 99 percent retention rate. According to the U.S. News and World Report, Columbia University is America’s fourth Best University and sixth Top Value with the sixth Best Social Work Degrees. The Times Higher Education places Columbia among the world’s 15 Best Universities. The Council on Social Work Education (CSWE) accredited School of Social Work at Columbia University allows students to complete the Master’s of Social Work (MSW) Program fully online with an Advanced Clinical Social Work Practice concentration. Online learners further specialize in Family, Youth & Children’s Services or Health, Mental Health & Disabilities for their Licensed Clinical Social Work (LCSW) career. Courses are synchronous for live, virtual sessions with peers and faculty. Students could follow the standard two-year, Advanced Standing one-year, or extended three-year format from anywhere. Even the MSW’s orientation and capstone project are accessible via computer linkup. Learn more about Columbia University’s Online LCSW Degree Programs here. With post-graduate enrollment surpassing 23,700, the University of Southern California is one of the world’s preeminent private, nonprofit RU/VH research institutions on the Pacific Rim. The $4.7 billion endowment gifts generous financial aid packages to study upon the 308-acre urban campus in the University Park district of Los Angeles or online. Ranked 12th for Graduate Social Work Education, the University of Southern California (USC) is the 23rd Best National University and 39th Top Value in the U.S. News and World Report. The University of Southern California also lands among the Academic Ranking of World Universities’ (ARWU’s) Top 50 Global Universities. Meeting the Council on Social Work Education’s (CSWE’s) guidelines, the University of Southern California’s School of Social Work established the Online Master of Social Work program via its Virtual Academic Center. Designed for clinical social workers, the curriculum offers 21st century concentrations in Mental Health, Health, or Families and Children. There’s an additional sub-concentration in Military Social Work too. Online, seminar-style courses foster intimate discussion with live conferencing sessions. Students learn to implement evidence-informed interventions with the 60-credit Traditional or 37-credit Advanced Standing track. Offline, students spend 1,000+ hours completing supervised field education. Learn more about the University of Southern California’s Online LCSW Programs here. Founded as northern Ohio’s first college in 1826, Case Western Reserve University has a distinguished history as a private, doctoral-granting RU/VH research institution. Endowed for $1.76 billion, Case Western Reserve University educates more than 5,600 post-graduates from its 155-acre urban campus in Cleveland’s University Circle neighborhood. The Online Learning Division participates in the National Council for State Authorization Reprocity Agreement (NC-SARA) to deliver six online master’s degrees in 49 states, excluding Kentucky. The U.S. News and World Report named Case the 37th Best University and 42nd Top Value with America’s ninth Best Graduate Social Work Education Programs. The Jack, Joseph, and Morton Mandel School of Applied Social Sciences gives Case Western Reserve University students the option to earn the Master of Science in Social Administration (MSSA) online. This Master of Social Work (MSW) alternative offers two Direct Clinical Practice concentrations for Children, Youth & Families or Adult Mental Health. Traditional non-Bachelor of Social Work (BSW) students complete 60 credits over eight online semesters, but there’s a 45-credit Advanced Standing track too. Field experience is integrated into online education to develop students’ competence treating mental illness. Admission to the Council on Social Work Education (CSWE) accredited program requires a minimum 2.7 undergraduate GPA. Learn more about Case Western Reserve University’s Online LCSW Degree Programs here. Initially established in 1839 by Methodist ministers as the Newbury Biblical Institute, Boston University has dramatically evolved into a private, non-sectarian RU/VH research center with a $1.6 million endowment. Enrolling over 13,650 post-graduates, the Boston Consortium member is located on 135 urban acres in Massachusetts’ capital near Fenway Park. According to the U.S News and World Report, Boston University is the 41st Best College and 33rd Top School for Veterans nationally. With 23 online master’s degrees, Boston also won the United States Distance Learning Association (USDLA) 21st Century Gold Award for Distance Learning Programming. Fully accredited by the Council on Social Work Education (CSWE), the School of Social Work confers an outstanding Online Master of Social Work program with a Clinical Social Work Concentration. Online learners gain the therapeutic skills for LCSW licensure via one of three available tracks. The 65-credit Traditional Master’s of Social Work (MSW) takes three years with live online sessions and two internships. Working professionals with Human Service Experience (HSE) can complete 65 credits and one 1,000-hour internship. The Advanced Standing option for Bachelor of Social Work (BSW) holders requires 40 credits and one field experience. The Field Education Department has placements in 44 states. Learn more about Boston University’s Online LCSW Degree Programs here. Firmly grounded in Jesuit tradition, Fordham University is a private, co-educational Roman Catholic institution split into 10 constituent colleges to educate over 6,400 post-graduates on-site and online. Claiming over 120 urban acres, Fordham occupies three physical campuses across New York in the Bronx, Manhattan, and West Harrison within Westchester County. Named among Kaplan’s “25 Hottest Schools in America,” Fordham is ranked the 66th Best National University and 55th Best College for Veterans by the U.S. News and World Report. In particular, Fordham University has the 22nd Best Master’s of Social Work program nationwide. Fulfilling LCSW licensure qualifications is possible through Fordham’s Clinical Concentration for the online Master of Social Work program. The Council on Social Work Education (CSWE) accredited Graduate School of Social Service offers full-time or part-time asynchronous online courses for residents of New York, New Jersey, and Connecticut. There’s also a hybrid option with Molloy College on Long Island. Clinical social workers could add the Credentialed Alcohol and Substance Abuse Counselor-Trainee (CASAC-T) Certificate. Online learners with an accredited BSW receive Advanced Standing for one less year. Supervised field placements across the Tri-State make gaining clinical experience convenient. Learn more about Fordham University’s Online LCSW Degree Programs here. Named for Revolutionary War hero Henry Rutgers in 1766, Rutgers The State University of New Jersey is a public, multi-campus land-grant research institution with nearly 20,000 post-graduates enrolled. Belonging to the Big Ten Academic Alliance, Rutgers has a $3.6 billion budget to operate its 2,688 acres of campuses in Newark, New Brunswick, and Camden as well as the eCollege. Placed 17th on PayScale’s Salary Report, Rutgers is ranked the 72nd Best University and 28th Top Public School with the 22nd Best Social Work Degree Programs by the U.S. News and World Report. Using the Pearson Learning Studio, Rutgers’ School of Social Work produces LCSW candidates online with the Master’s of Social Work in Clinical Social Work program. The self-directed degree is completed part-time in three years or two years Advanced Standing. Small cohorts begin every Fall, Spring, and Summer for flexibility. Without taking the Graduate Records Examination (GRE), social workers can enter the Council on Social Work Education (CSWE) accredited curriculum and perhaps add the Violence Against Women and Children Certificate. Online courses culminate in an internship anywhere in the United States. Other benefits include free tutoring and job placement assistance. Learn more about Rutgers University, The State University of New Jersey’s Online LCSW Degree Programs here. Endowed for $2.2 billion, Michigan State University is a flagship public, land-grant and sea-grant institution with “very high research activity” to train over 11,400 post-graduates. In addition to its vast 5,192-acre suburban campus in East Lansing, Michigan State University offers 100+ online and hybrid courses through the Kellogg Conference Center. The U.S. News and World Report ranked Michigan State as America’s 75th Best University and 29th Top Public College with the 32nd Best Graduate Social Work education. Washington Monthly also crowned the Public Ivy the Midwest’s 11th Best Bang for the Buck. Holding Council on Social Work Education (CSWE) accreditation, the School of Social Work grants a 57-credit Statewide Blended Master of Social Work program for Michigan State University students living 50+ miles from East Lansing. Online courses are taken from anywhere with face-to-face meetings only one Saturday per month. Regional locations exist from Grand Rapids to Marquette. Part-time students can complete the Clinical Track in three years to earn LCSW licensure. Since 2006, the program has uniquely linked cohorts through ITV video conferencing. Over four semesters, Master’s of Social Work students also complete 960 clock hours of clinical experience. Learn more about Michigan State University’s Online LCSW Degree Programs here. As the Rockies’ oldest private, co-educational research institution with a legacy tracing back to 1864, the University of Denver is an NAICU member endowed for $607 million to serve over 6,000 post-graduates. Seven miles south of the “Mile High City,” DU operates a 125-acre urban campus in the University Park neighborhood. The College of Professional and Continuing Studies also awards over 45 master’s programs online via Canvas. According to the U.S. News and World Report, the University of Denver is the 86th Best College with the 17th Best Master’s of Social Work (MSW) programs. The Graduate School of Social Work has extended beyond its three Colorado locations to launch an Online MSW with a concentration in Mental Health and Trauma. This Council on Social Work Education (CWSWE) accredited program prepares Licensed Clinical Social Workers for creating positive change by treating individuals, families, and groups. Online lectures are viewed asynchronously before the collaborative learning session each Thursday. The Online Master of Social Work’s first cohort in January 2017 will have 20 students for close-knit, intervention-oriented education. Nine quarters of coursework culminates in a concentration field internship for 15+ hours per week. Learn more about the University of Denver’s Online LCSW Degree Programs here. Belonging to the Southeastern Conference (SEC) Academic Consortium, the University of Tennessee is the state’s flagship public, land-grant and sun-grant RU/VH research institution with over 5,900 post-graduates. With one of East Tennessee’s Level I trauma centers, UTK is nestled in the Great Appalachian Valley with a 560-acre urban campus in Knoxville. Vols Online has won the TACHE Innovative Credit Programming Award for 14 online master’s programs. The U.S. News and World Report ranked Tennessee as America’s 103rd Best University and 47th Top Public College with the 32nd Best Social Work training. The College of Social Work’s same, highly qualified professors deliver the Master of Social Work program online for aspiring LCSWs. 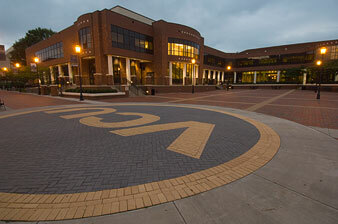 Continuously Council on Social Work Education (CSWE) accredited since 1945, the University of Tennessee Knoxville has a clinical Evidence-Based Interpersonal Practice concentration. Students can further specialize in Aging, Cognitive Behavioral Therapy, Substance Abuse, Hospital Social Work, and Trauma. The 60-credit program can be completed full-time or part-time with asynchronous and synchronous online courses. Students’ 672-hour clinical internships are arranged within reasonable commutes from their hometowns. Learn more about the University of Tennessee’s Online LCSW Degree Programs here. Enrolling over 9,500 post-graduates, Temple University is a public, doctoral-granting research institution with an international presence since its founding in 1884 by Baptist minister Russell Conwell. From its main 115-acre urban campus in Philadelphia’s Center City district, Temple offers classes in Harrisburg, Tokyo, Rome, London, and online from anywhere. Noted for the country’s 64th Best Social Work Education, Temple is ranked the 115th Best University and 55th Top Public College by the U.S. News and World Report. Kiplinger’s lauded Temple University as the 95th Best Public Value too. Launching in Fall 2017, Temple’s College of Public Health is now accepting applications for its CSWE-accredited online Master of Social Work program. Online students can complete the Clinical Practice Concentration while specializing in Children and Families, Health and Mental Health, or an Individualized Option. The 60-credit curriculum blends perfectly with the Online Military Counseling Certificate too. Learners engaged full-time or part-time will complete two field practica at approved agencies from Pennsylvania to Maryland. Temple proudly has one of the United States’ highest LCSW exam pass rates. Learn more about Temple University’s Online LCSW Degree Programs here. Following the motto “God is My Light,” The Catholic University of America is a private, pontifical teaching institution of the Roman Catholic Church that’s educating over 3,000 post-graduates. Closely tied with the Knights of Columbus, the Catholic University of America is located on a 176-acre urban campus in the Brookland neighborhood of Washington, DC. According to the U.S. News and World Report, the Catholic University of America is the 123th Best National University with the 47th Top Master’s of Social Work (MSW) program. The Princeton Review also recognized the Catholic University of America for the 13th “Most Religious Students” countrywide. Online learners can select from four graduate programs, including the National Catholic School of Social Service’s Clinical Master of Social Work. This rigorous, Council on Social Work Education (CSWE) accredited degree trains students to provide much-needed mental health services with LCSW designation. At least 18 online courses are required for 54 credits. Advanced Standing is reserved for social work majors presenting a minimum 3.5 GPA. The Catholic University of America’s “signature pedagogy” emphasizes Christian service backed by biblical principles. Online courses are supplemented by two days of field experience per week. Learn more about the Catholic University of America’s Online LCSW Degree Programs here. Originally created in 1838 by Hampden-Sydney College, Virginia Commonwealth University has gained independence as a senior, public RU/VH research institution with nearly 7,200 post-graduates. Online@VCU makes education accessible away from its 144-acre urban campus in Richmond’s Monroe Park neighborhood. As the 156th Best National University and 84th Top Public School, Virginia Commonwealth University grants the 22nd Best Graduate Social Work Education according to the U.S. News and World Report. Virginia Commonwealth University was also crowned the 16th best non-HBCU for minorities by Diverse Issues in Higher Education. The Virginia Commonwealth University School of Social Work has created an online Master of Social Work degree with a Clinical Social Work Concentration to satisfy LCSW requirements. Whether full-time or part-time, online students spend up to four years completing the 60-credit curriculum. Emphasis is placed on the ethnical integrity required to restore optimal functioning to individuals of multicultural backgrounds. In addition to a first-year orientation, online MSW students must attend two Saturday seminars in Richmond each semester. Social workers could add the Certificate in Aging Studies or Gender Violence Intervention. Learn more about Virginia Commonwealth University’s Online LCSW Degree Programs here. Known for founding the world’s first trauma center in 1911, the University of Louisville is a city-owned, public RU/VH research institution that’s endowed for $1.2 billion and educating over 6,400 post-graduates. The University of Louisville operates a 345-acre urban Belknap Campus in Old Louisville, Health Sciences Campus in downtown, and Online Learning Campus virtually. The U.S. News and World Report lauded Louisville for being America’s 168th Best University and 91st Best Public College with the 32nd Best Social Work Programs. The University of Louisville is also the South’s 114th Top University in Forbes magazine. The Kent School of Social Work confers a Council on Social Work Education (CSWE) accredited, “Best Buy” Master of Science in Social Work program 100 percent online. Future licensed clinical social workers can benefit from the Psychosocial Oncology, Mental Health, Gerontology, or Alcohol and Drug Counseling concentrations. Online students with a non-social work major enter the standard 60-credit MSSW, but there’s a 30-credit Advanced Standing option too. Award-winning courses draw from Bruner’s Spiral format for high performance standards. Placements for the 450-hour supervised internship are offered in most states, excluding Texas and Iowa. Learn more about the University of Louisville’s Online LCSW Degree Programs here. Given Carnegie’s prized “Community Engagement” classification, Widener University is a private, co-educational research institution with a $73 million endowment to enlighten over 3,200 post-graduates. Featuring satellites in Harrisburg, Exton, Wilmington, and online, Widener is situated upon a 108-acre urban campus in Chester, Pennsylvania. Widener has the 55th “Highest Proportion of Classes Under 20 Students” as America’s 187th Best University and 149th Best College for Veterans according to the U.S. News and World Report. The Presidential Community Service Honor Roll recipient also has the 123rd Top Social Work Programs. Online learners pursuing the Licensed Clinical Social Worker exam can select Widener’s 64-credit Master of Social Work for advanced practice. The Council of Social Work Education (CSWE)accredited School of Social Work focuses on examining mental health and social-emotional issues based on past trauma. Curriculum flexibility allows online students to commit anywhere from three to 10 semesters part-time. Two supervised field placements for 480 and 720 clock hours apiece expand students’ professional perspective. There’s also a Hybrid MSW/M.Ed. in Human Sexualities program. No GRE score is required, but applicants must hold a minimum 3.0 GPA. Learn more about Widener University’s Online LCSW Degree Programs here. Opened as Houston Junior College in 1927, the University of Houston has expanded into a public, multi-site system of research institutions endowed for $716 million to serve over 7,800 post-graduate students. Along with its flagship 667-acre urban campus on Space City’s Calhoun Road, the University of Houston operates locations in Sugar Land, Clear Lake, Victoria, and online for “Education Without Limits.” Placed 31st on the Social Mobility Index, Houston is ranked the 187th Best National University and 105th Top Public School with the 38th Best Graduate College of Social Work by the U.S. News and World Report. Offering the lowest in-state tuition, the Online Master of Social Work (MSW) gives UH students the opportunity to develop skills for clinical mental health services. Although it’s primarily online, advanced concentration courses often require meeting in Houston once monthly. Aspiring LCSWs study social welfare policies, human behavior, clinical assessment, DSM diagnoses, and more. The Clinical Practice Concentration places emphasis on cognitive-behavioral interventions. Online students must complete at least 900 clock hours of fieldwork. Some placements are available with UH’s unique Child Trauma Project. Learn more about the University of Houston’s Online LCSW Degree Programs here.